Your investment in email-marketing software has paid out! Your customer relations via email thrive, more and more recipients subscribe to your newsletter. Now it's on you to keep the ball rolling and manage the mailing lists perfectly. SmartSerialMail offers many handy features which make editing your recipient lists child's play. Your greatest help: the powerful internal database. With a few clicks you add additional newsletter recipients or erase customers from the lists. Managing the opt-in processes has never been easier. Bounce mail processing and blacklists make sure that no customer receives unwanted emails. Easily rectify mistakes with the help of the history: roll back to a previous version of your list with just a few clicks. The Enterprise Edition enables you to use filters to sort your recipient lists according to various criteria you defined. Send out newsletters only to customers who ordered a specific product or design different serial emails for male and female customers. Once created, filtered lists can even be copied to other recipient lists. Your customer relationship management team works on more than one project at a time? Employee A wants to update the recipient lists for your serial email while employee B is sending the newsletter? No problem there: the SmartSerialMail Enterprise Edition enables you to use several installations of SmartSerialMail simultaneously. Send you email blasts to your customers - but don't share their addresses. SmartSerialMail sends a single newsletter to each address you chose from your database. There's no need to use your email software's "BCC"-function ("Blind Carbon Copy"). 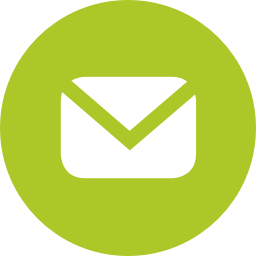 Don't worry about additional safety features - let your email marketing software SmartSerialMail do all the work!